Tech Blog has been specifically designed for ultimate monetization result. Plenty advertisement areas are placed in prominent spots and blended perfectly with the content in a professionally looking online magazine. 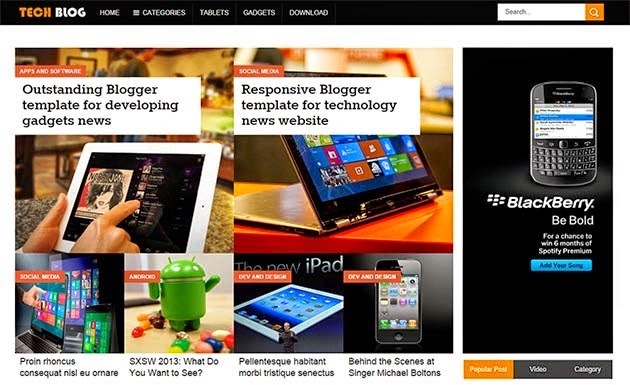 This theme perfect for Search Engine Optimization, Plus Technology blog, Android, Gadgets, Reviews and News Blog. Its Support multi author options via google plus.